At Marzano Research, Dr. Brodersen oversees a number of evaluation and research projects related to college- and career-readiness, best practices for educators, and innovative educational interventions, managing a team of researchers and research associates to accomplish the work. In his work as managing senior researcher, Marc finds especially rewarding the ways in which education research can lead to practical solutions that benefit both students and teachers. At Marzano Research, Marc oversees a number of evaluation and research projects related to college and career readiness, best practices for educators, and innovative educational interventions, managing a team of researchers and research associates to accomplish the work. His expertise lies in program evaluation, applied research design, quantitative and qualitative research methodology, and statistical analysis. He also has content expertise in competency-based education, career and technical education, character education, and student assessment. In his 15 years in education research, Marc has conducted short- and long-term formative and summative evaluations and research projects at the local, state, federal, and international levels. Recently, for example, he directed a study examining how teachers’ assessment of student competency aligns to state achievement scores and an evaluation of the Guam Department of Education’s formative assessment and standards-based grading initiative. He has organized mixed-methods studies, including evaluations that involved classroom observations, teacher interviews, and case studies of schools. 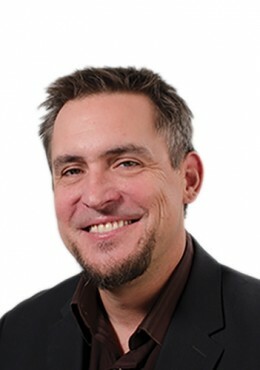 Marc received his doctorate in applied social psychology from Colorado State University, and he also holds a master’s degree in experimental psychology. He is a What Works Clearinghouse–certified reviewer for group designs. Teachers' responses to feedback from evaluators: What feedback characteristics matter?